Santa Maria, a younger sister of The Monitor’s 2018 All-Area Player of the Year Jayla, established herself as one of the top players in the Valley (19.0 points, 5.0 rebounds, 3.2 assists, 2.9 steals). Garcia was one of the Valley’s top all-around talents averaging 16.9 points, 11.0 rebounds and 5.6 steals per game in 2018-19. Hornaday averaged 12.3 points, 10.9 rebounds, 7.3 assists and 5.3 steals in 36 games at the point guard position. Rodriguez was one of the top point guards in the Valley (16.7 points, 3.9 assists, 3.6 3-pointers made per game). She helped the Raiders win the program’s first playoff game since 2016. Cantu averaged a double-double (12.3 points, 10.3 rebounds) and racked up 4.6 steals per game. The Panthers won a share of the District 31-6A title. Rios was the SaberCats’ top scorer (13.9 points) and top pickpocket on defense (3.7 steals) in her final season. Sanchez (12.4 points, 4.3 assists) stepped into the shoes of do-it-all guard Ashley Arjona and led the Pirates to a 35-win season and an undefeated record in District 32-4A. The senior Howell ended her Patriot career as the team leader in scoring (12.7 points), rebounding (9.6 rebounds) and steals (4.2). Vento (9.5 points, 9.4 rebounds, 2.8 steals, 3.7 blocks) contributed to the Tigers’ first district championship under coach Santiago Rivas. 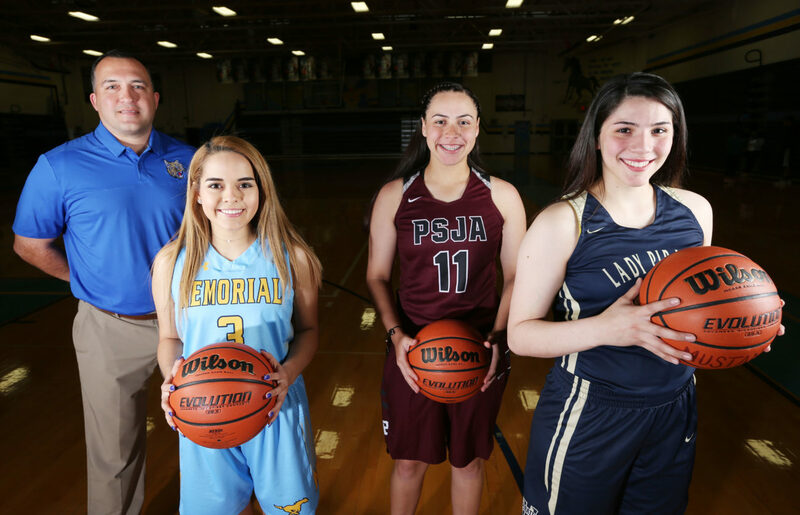 Quesada (13.0 points, 5.0 rebounds, 6.0 steals) was a part of a strong senior class at Donna High that resulted in a third-place finish in District 32-5A.